Meet Diego Sepulveda! 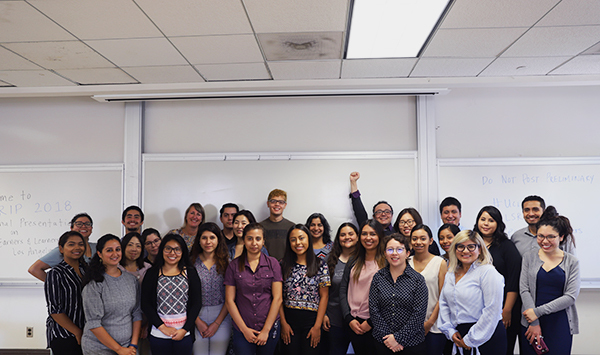 Diego has returned to UCLA to spearhead the development and coordination of the Alumni Network at the Dream Resource Center, after graduating in 2012 with a Bachelor’s in Chicana/o Studies and minor in Education. A strong advocate for immigrant rights, Diego is passionate about issues around access to health care, the affordability and accessibility of higher education, and the rights and freedoms of LGBT-identified individuals, amongst much more. UCLA student Karina Kaye sat down with Diego to get to know him better. Karina: What brought you to the Dream Resource Center and advocating for immigrant rights? Diego: I was accepted to UCLA as a transfer student majoring in Political Science in 2009. Many of my classes didn’t really impact me as an individual. As an undocumented, queer, first-generation Latino, I felt disconnected from a lot of the issues we were talking about. I started taking classes in Chicana/o Studies and I eventually changed my major from Political Science to that, because we talked about issues that directly impacted me and the broader Latina/o community. We talked about policy, law, language, culture, and issues of access in various topics that has shaped the state of the Latina/o community today. So for me, Chicano Studies was a way of exploring my own identity and to be empowered so that I can create a difference in the world. I am currently getting my MBA, specializing in Non-Profit Management at the American Jewish University. I wanted to continue building my skills and empowering others to create collective change at the local, national, and international arena. For me, a meaningful contribution to the world is making sure we all have a voice and our experiences are reflected in policy and law, institutions of higher education, and the accessibility and affordability of resources. Karina: How has your experience with Chicano Studies and Education impacted your work? Diego: My major was multidisciplinary in its approach, so a lot of work I did in college translated into community work, which very much resembles what I’m doing with the Dream Resource Center. I’m working with immigrant youth from various backgrounds and across the country to build a national professional development network. From theory to practice, my education has helped me develop the language to advocate for a myriad of issues, understanding that there is an intersectional approach to social justice. I’m grateful for my studies and the work that I’ve been a part of, and how I’ve been able to bring that back to the DRC. Karina: What attracted you to working with immigrant youth in particular? Diego: I’m undocumented (now DACAmented), queer, Latino, and the first in my family to graduate from college. From my education and work experience, as well as grassroots, direct-action organizing background, I’ve learned that our communities — those continuously pushed to the margins — deserve the right to have our voices uplifted and included in key decision making spaces at the local, statewide, and national level. My work is about building collective power to make sure our communities, especially young immigrant youth, have justice and equality in our society. Karina: How do you take an intersectional approach in your work? 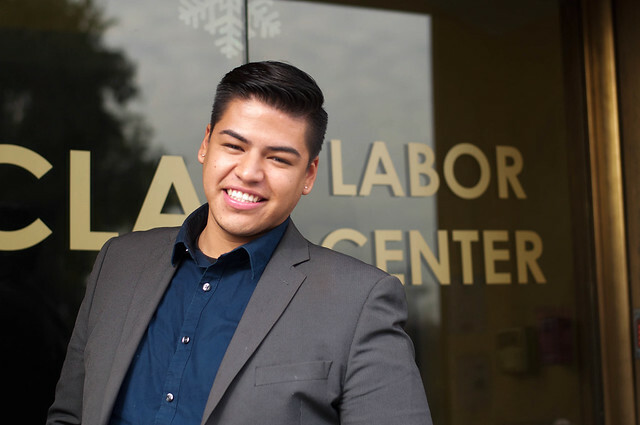 Diego: As the Alumni Network coordinator for the Dream Resource Center, my main interest is to build the national professional development network for the Dream Summer Program, a national 10-week internship program for immigrant youth and allies. We have had more than four hundred individuals go through the program. We place them with organizations across the country for professional development and leadership opportunities. These internships serve as a platform for youth to be able to enter the workforce and gain professional development skills, as well as exercise their leadership. Of the four hundred individuals that have gone through the program, they have been Latino, Asian, Afro-Caribbean, and from various walks of life. Immigration reform is not just a Latino issue, but a cross-community issue where we can continue to build collective power to make real, inclusive reform. The work of the Dream Resource Center, and my own personal work, is inclusive, holistic, multi-generational, and multi-racial. Karina: Tell us some fun facts! Any hobbies? Or things people don’t know about you? Diego: Hm.. well, I once went to sleep and when I woke up I knew how to whistle. I also love singing. And reading, and writing. The writing is a newer passion. When I was little, I slept in the living room and my mom used to make us turn out the lights. Now that I’m older and have my own place, I can stay up as late as I want and write. It’s sparked a new creativity in me. The Labor Summer Research Internship Program closed with student presentations on "earners and learners." 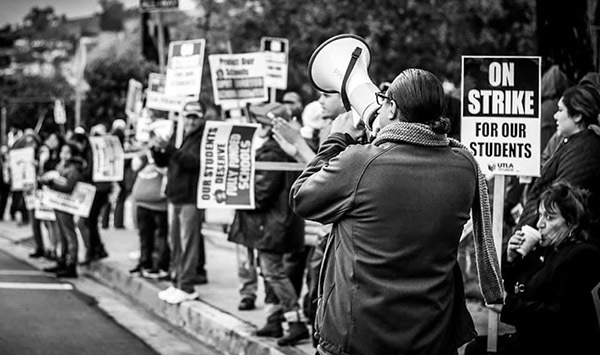 Re:Work Radio brings you a coming-of-age story from high school history teacher Rudy Dueñas.